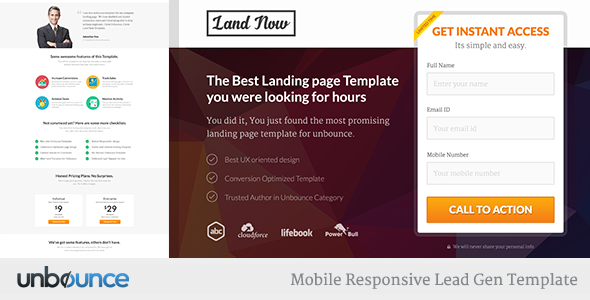 Heads Up !This is an Unbounce Landing Template, Not HTML/CSS. You will get an Unbounce file, where you can import on their web app builder and customize it by Drag & Drop. You may also need to buy a premium plan from them. Looking for a Parallax Scrolling Template for Unbounce?